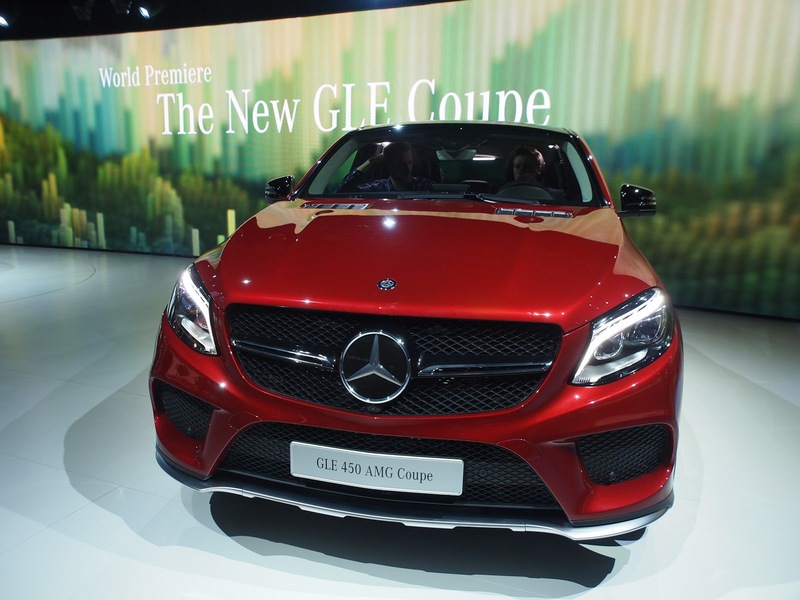 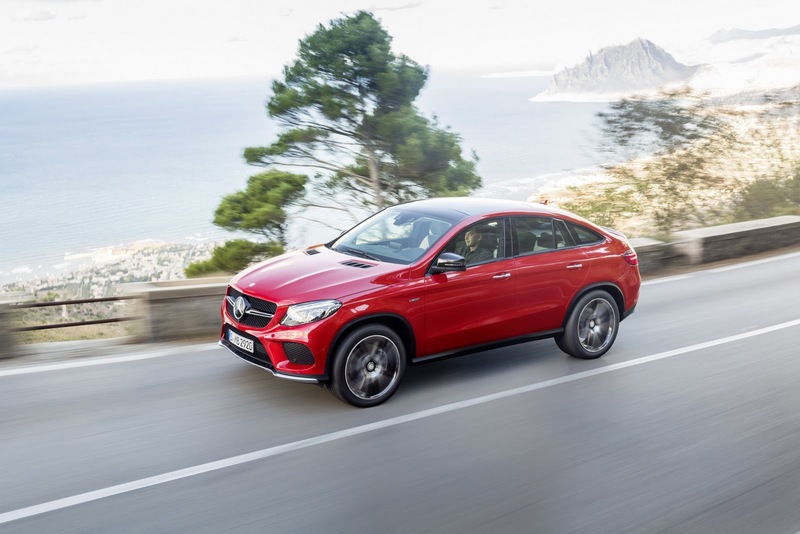 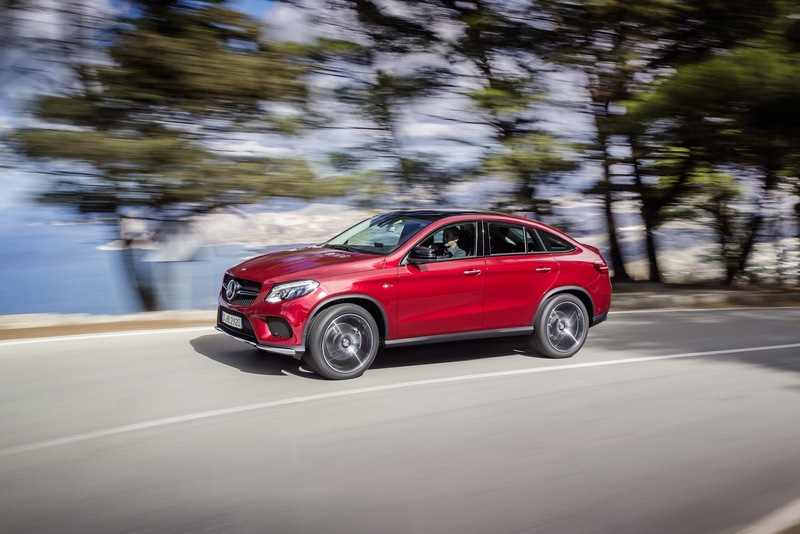 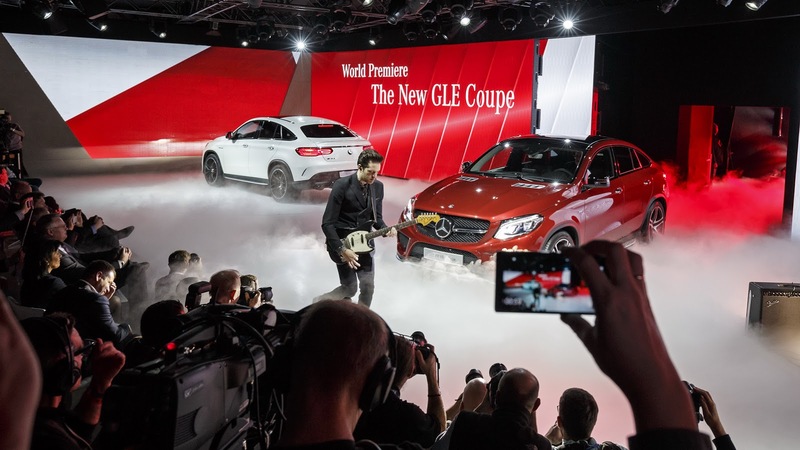 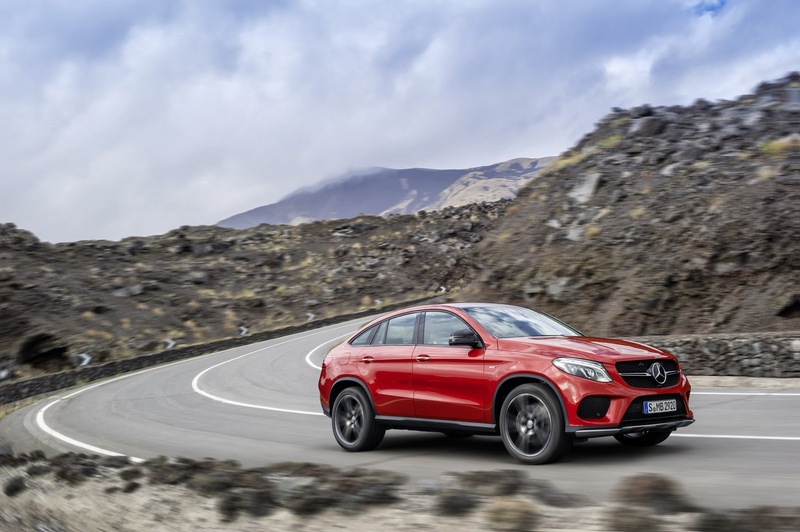 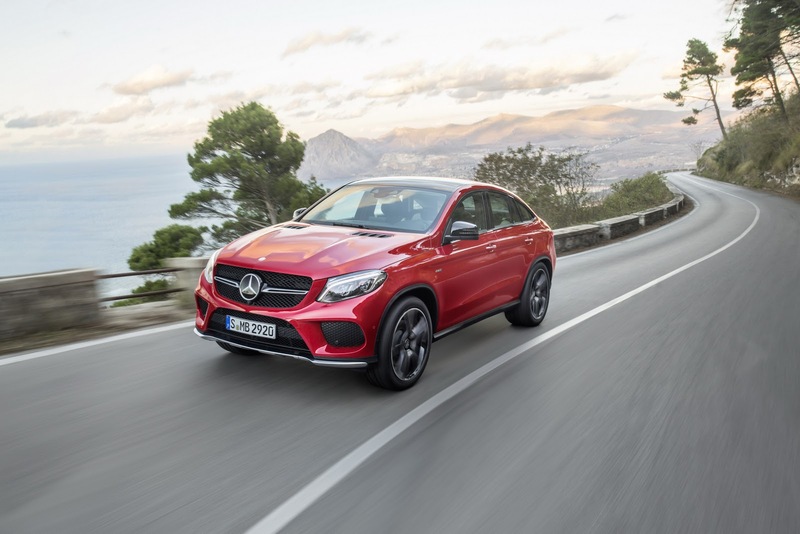 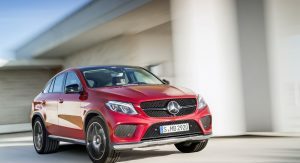 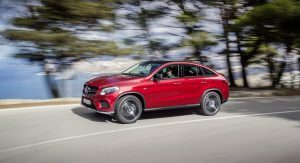 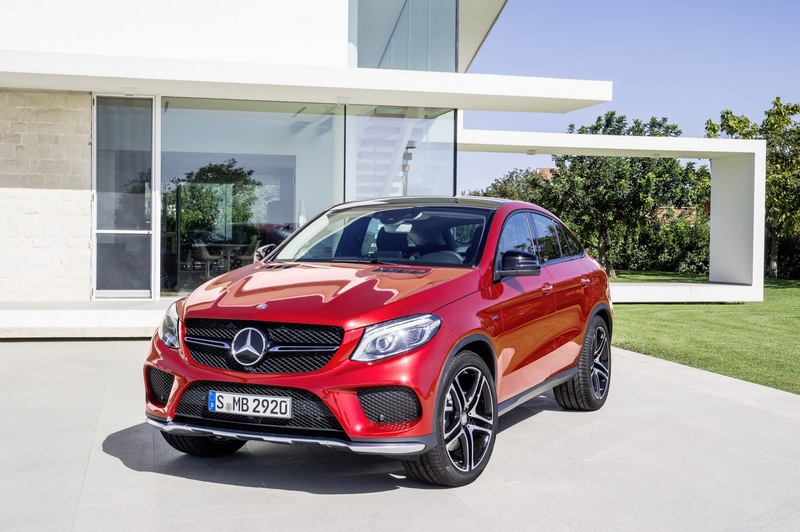 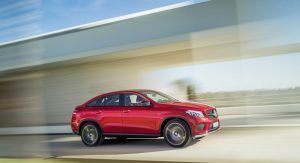 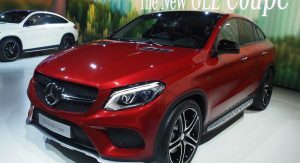 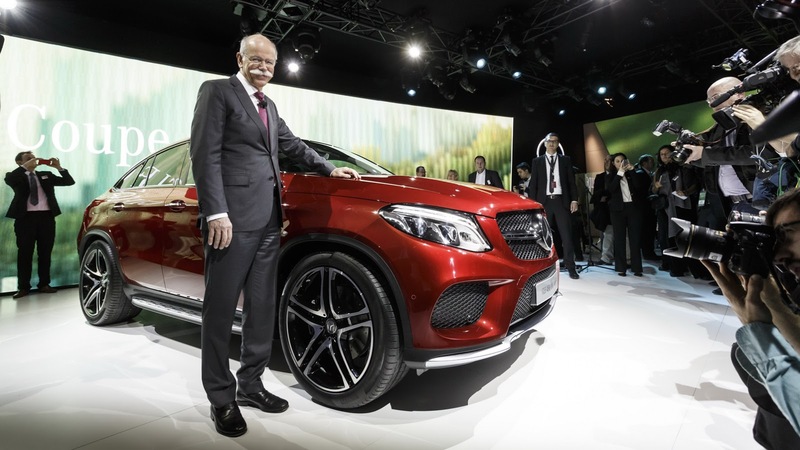 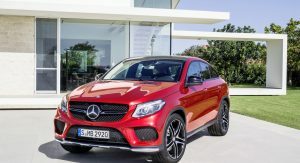 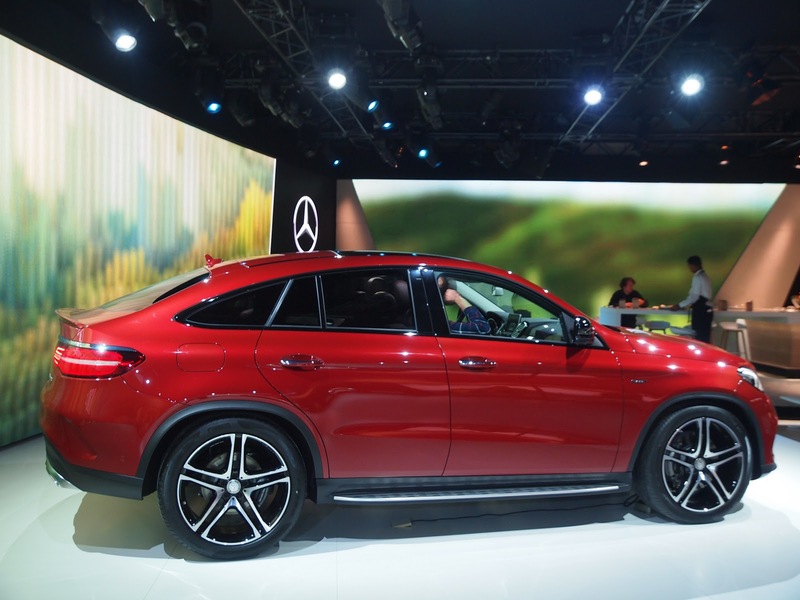 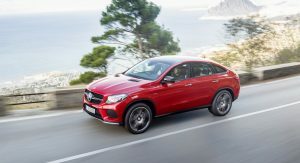 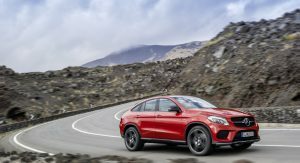 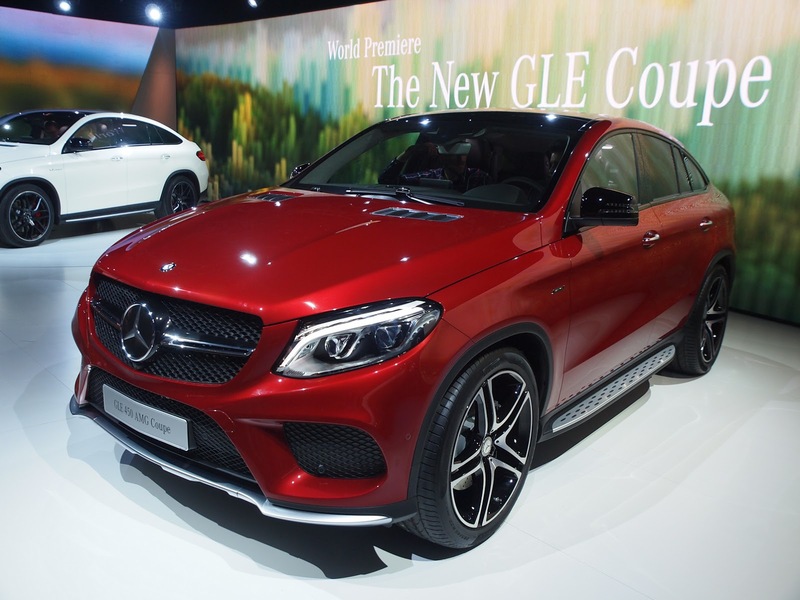 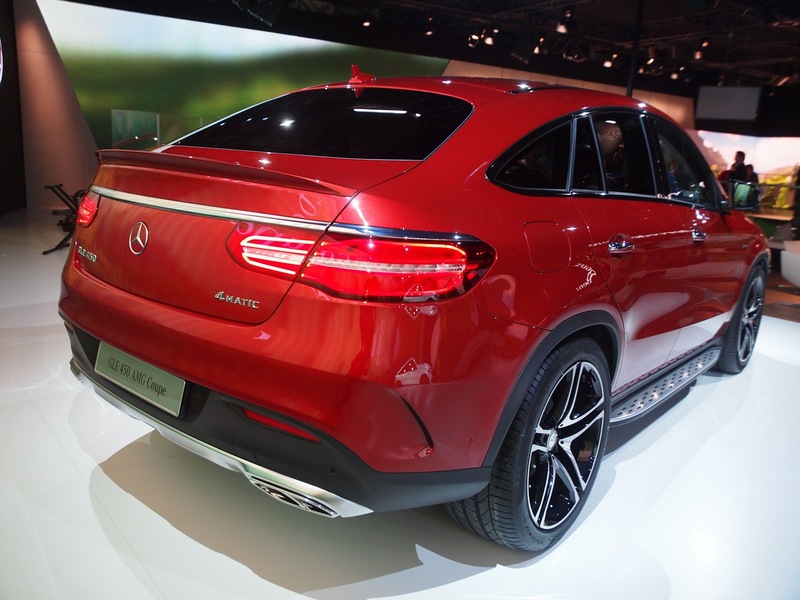 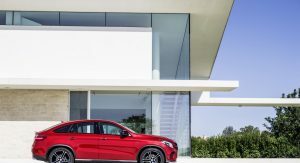 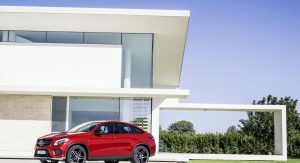 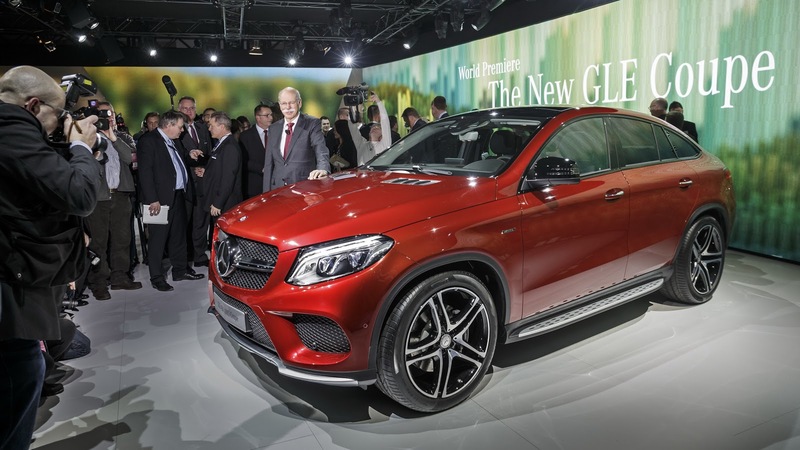 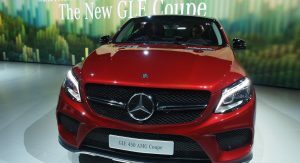 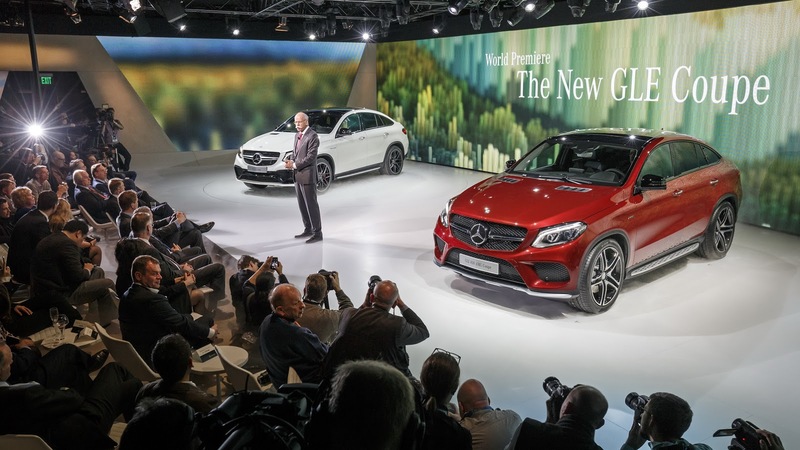 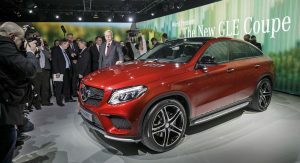 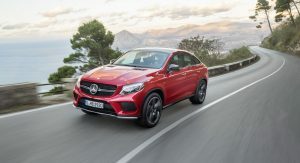 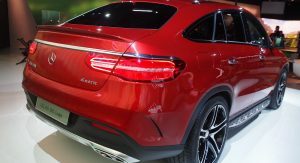 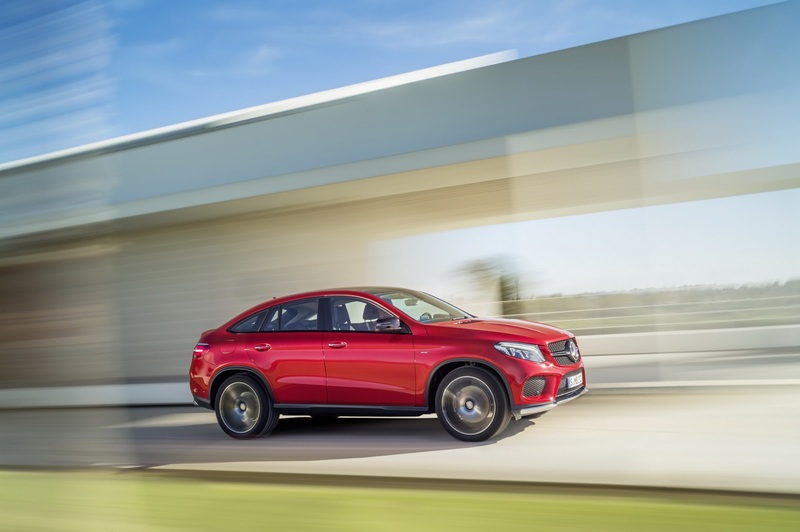 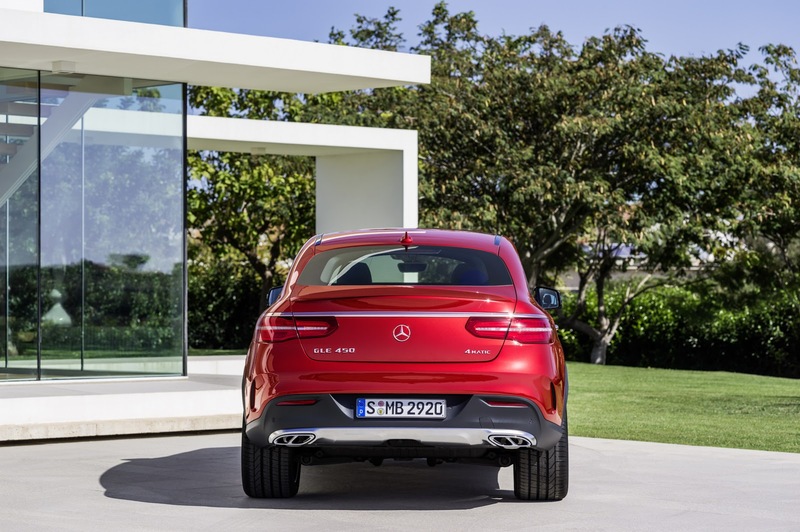 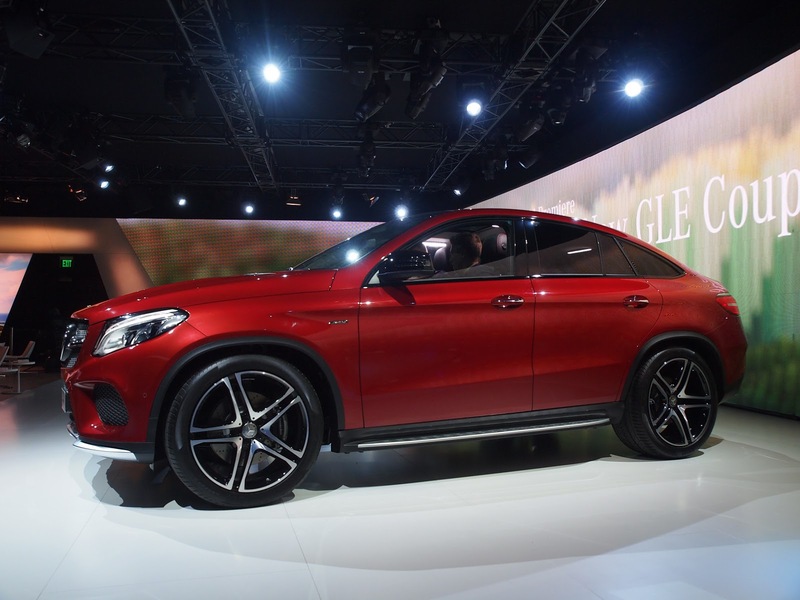 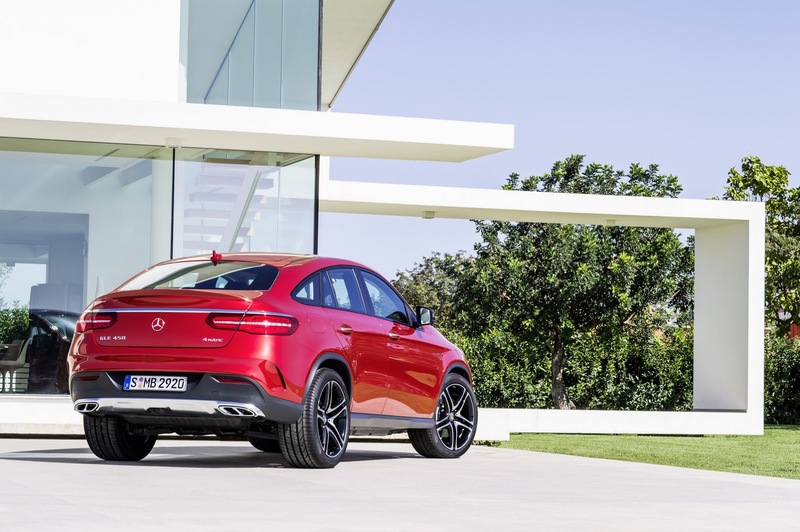 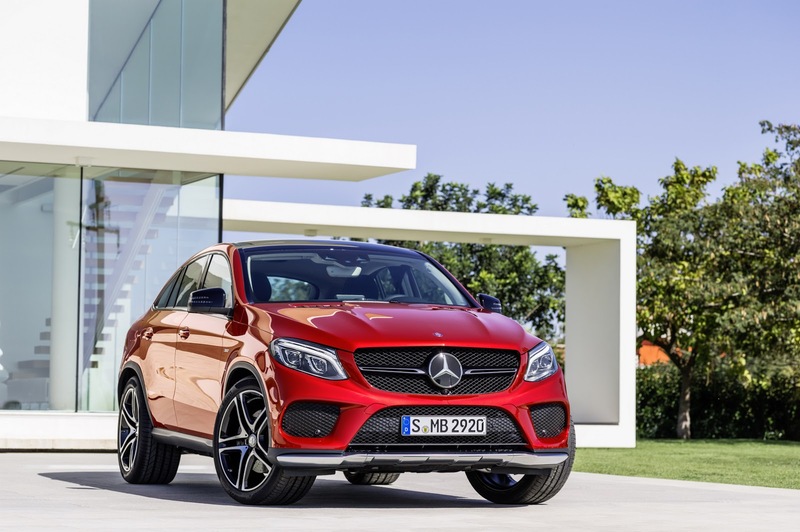 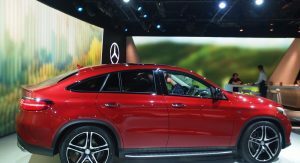 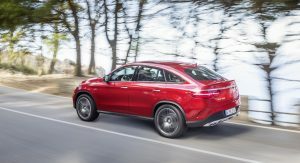 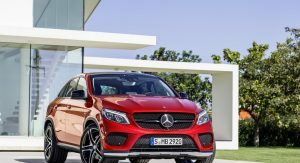 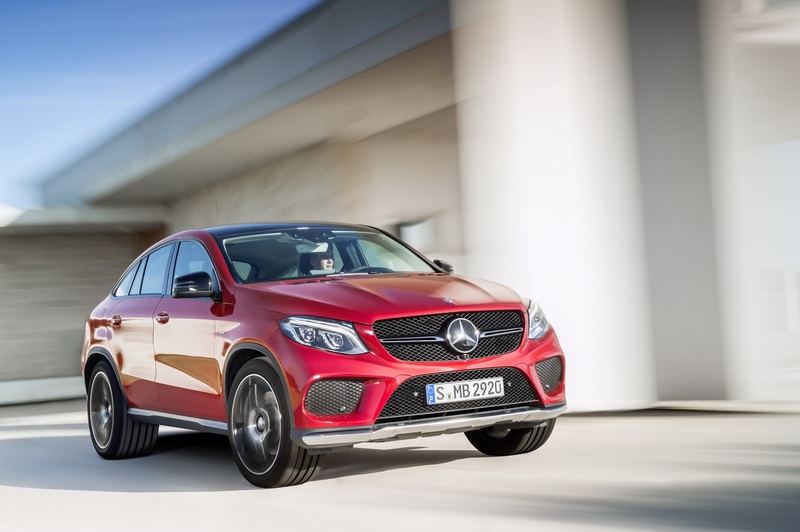 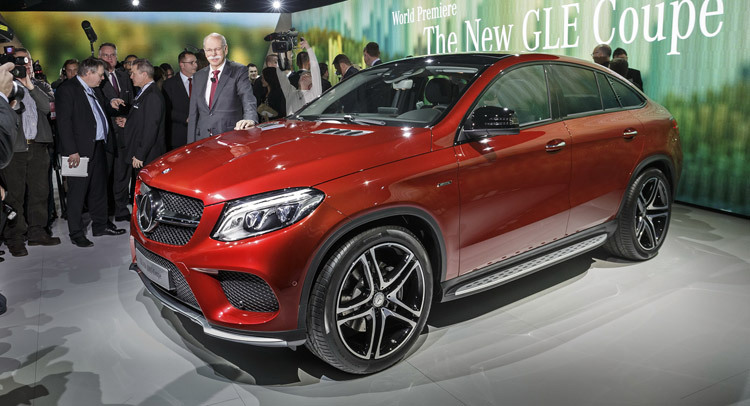 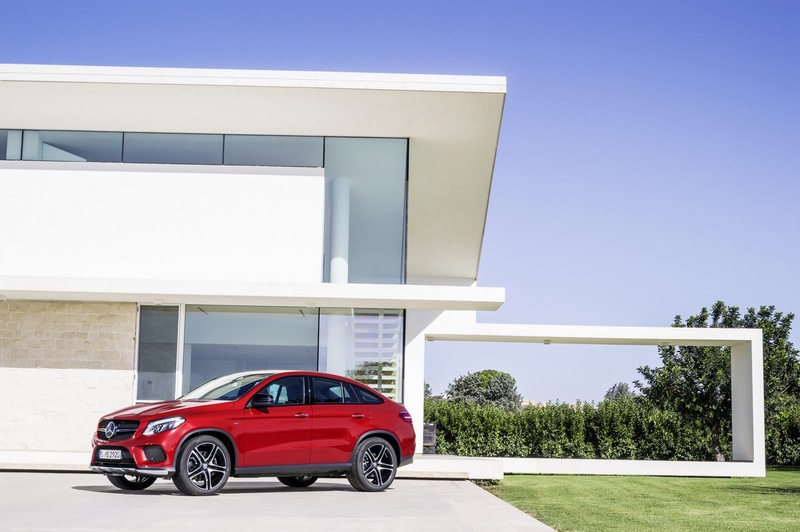 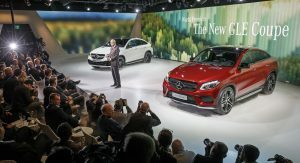 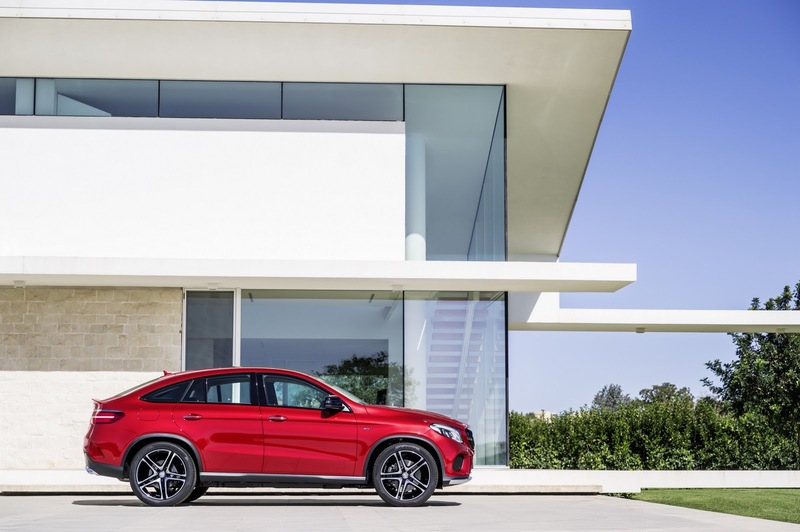 Together with the range-topping Mercedes-AMG GLE 63 Coupe and GLE 63 S Coupe, Benz also held the world debut of the GLE 450 AMG Coupe in Detroit. 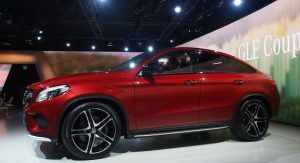 It’s Merc’s second AMG Sport model after the C450 AMG that’s also being paraded for the first time at the Cobo Center. 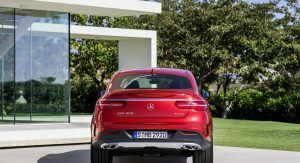 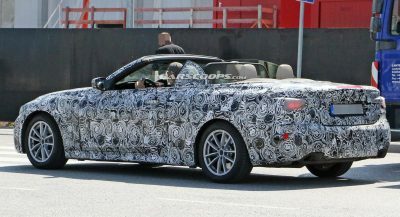 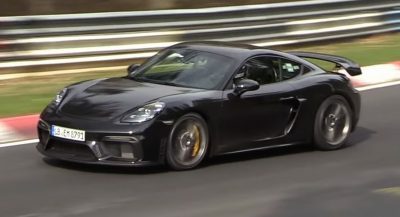 The two models share a new 3.0-liter twin-turbo V6 gasoline engine producing 362hp at 5,500rpm and 384 lb-ft of peak torque between 2,000 and 4,200rpm. 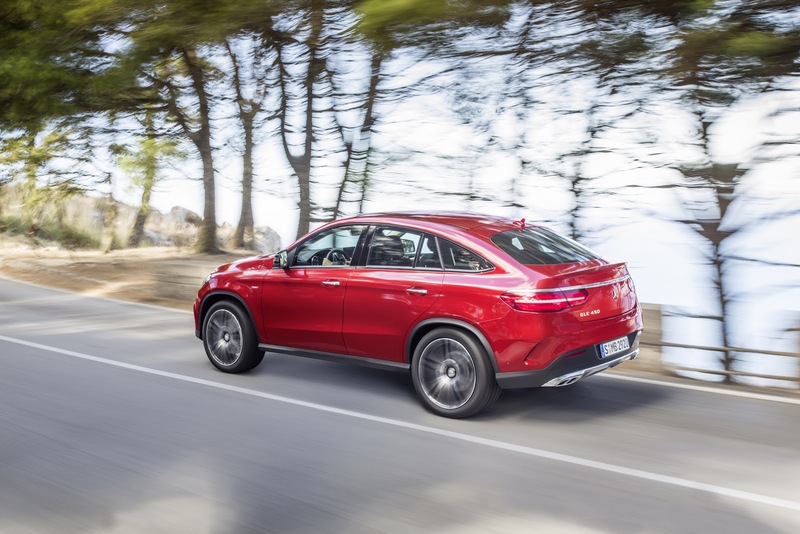 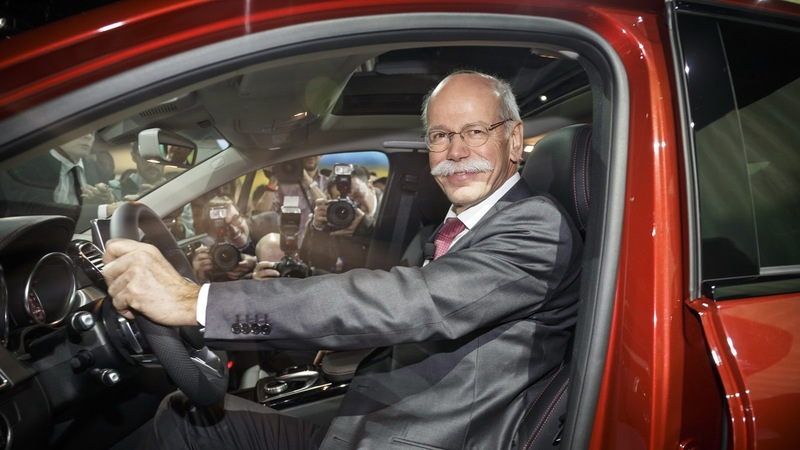 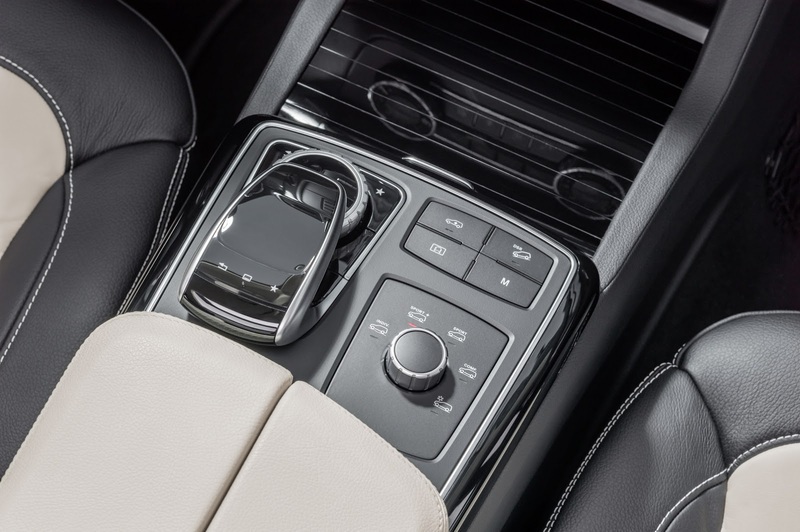 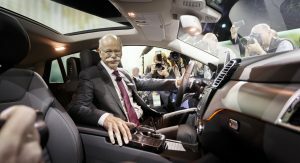 A new 9G-TRONIC nine-speed automatic transmission is paired up to a 4MATIC permanent all-wheel drive system with a torque split of 40:60 front and rear respectively. 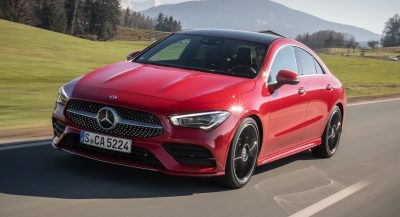 Other upgrades include the newly designed AIRMATIC air suspension with the continuously variable damping system ADS Plus, the ACTIVE CURVE SYSTEM with active roll stabilization, bigger brakes and standard 21-inch wheels on 275/45 front and 315/40 rear tires or optional 22-inch rims on 285/40 and 325/35 rubber. 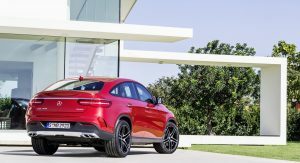 Cosmetically, the GLE 450 AMG 4MATIC Coupe gets a unique AMG body kit that includes a specific front and rear apron, a rear spoiler lip painted in the vehicle color, plus gloss black body trim. 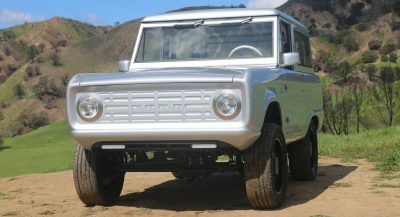 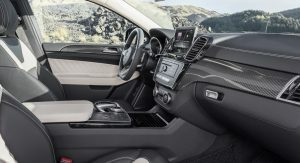 Inside, it has sports seats, a flat-bottom sports steering wheel, aluminum décor, sports pedals in brushed stainless steel with rubber studs and as an option, carbon-fiber trim and piano lacquer trims.